Azio announces the availability of the Retro Classic Mouse that complements its popular Retro Classic Series keyboards. The creation of the Retro Classic Mouse was brought up by used of the Retro Classic Series keyboards, demanding an aesthetically complementing companion with matching colour styles. The Azio Retro Classic Mouse features an ambidextrous design and comes in three colours: Posh, Artisan, and Gunmetal. It has a genuine leather surface which is interchangeable for a different look or after excessive use. 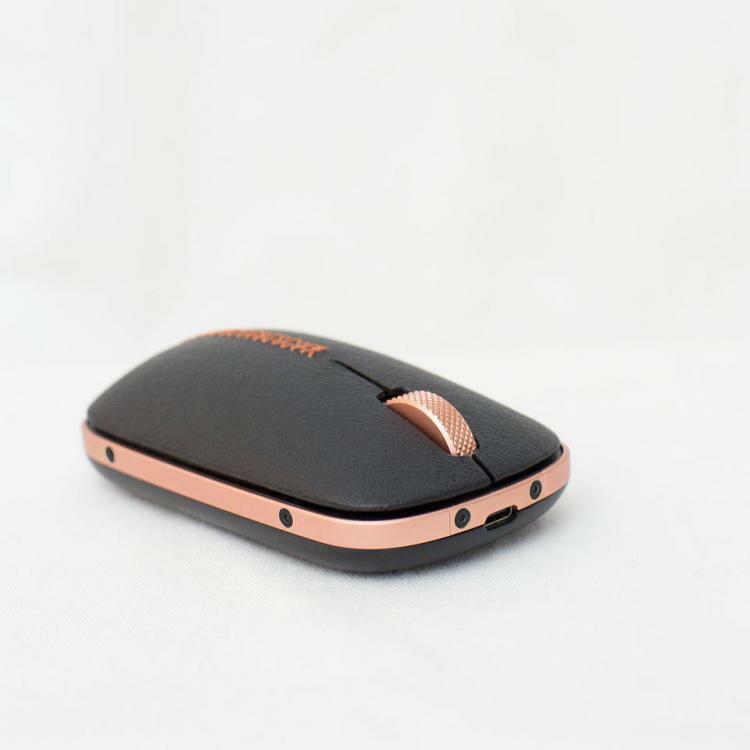 The Retro Classic Mouse also features dual wireless connectivity using Bluetooth or Wireless USB-RF. Check out our review of the AZIO MK Retro Keyboard here. 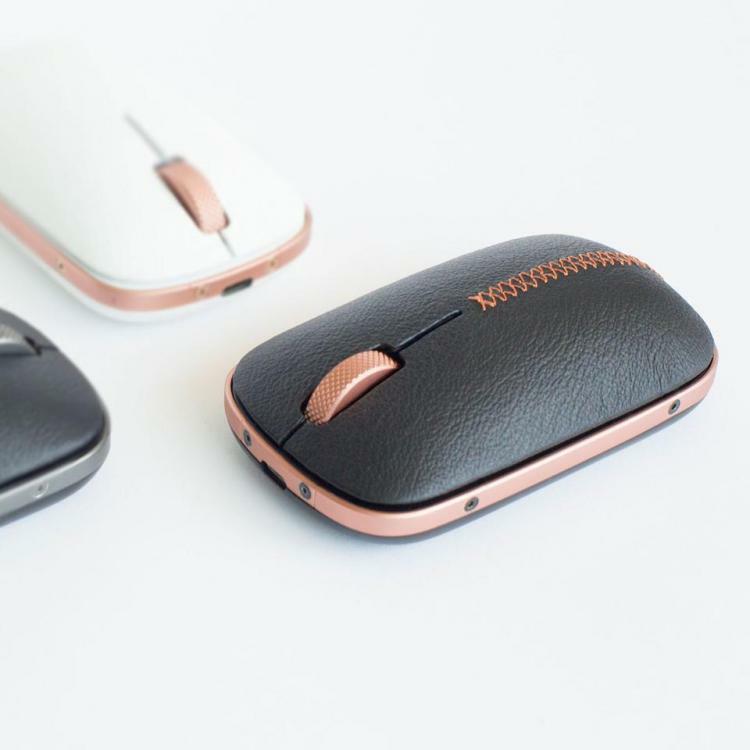 The Azio Retro Classic Mouse uses top-grain chrome-tanned leather as the top cover which is interchangeable for to give it a different look as desired. Aside from the leather top cover, the Retro Classic Mouse comes with a textured aluminium wheel scroll and alloy frame with precision bolts. The scroll wheel is crafted from high-grade aluminium with CNCed diamond-shaped pattern and chamfered edges which is then anodized for durability and aesthetics. 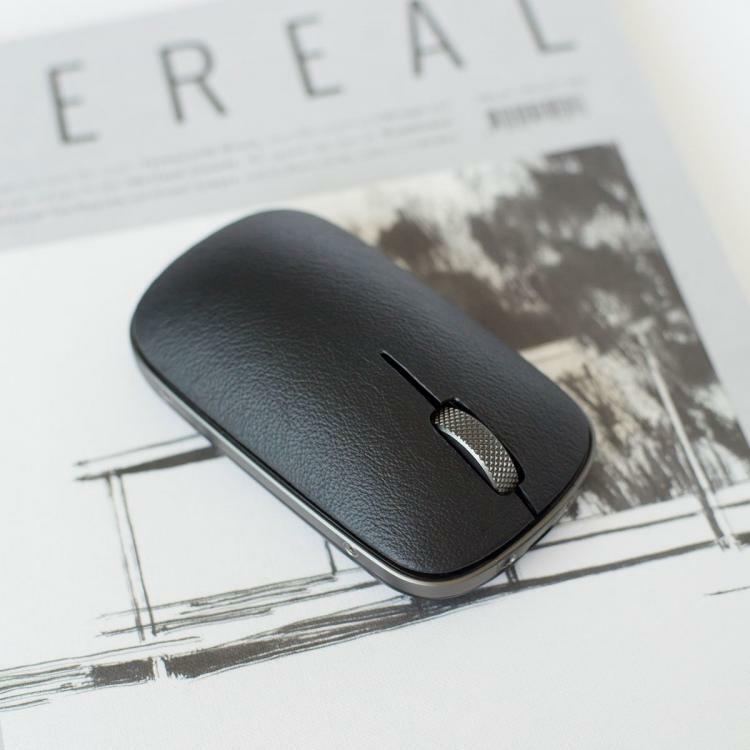 The Retro Classic Mouse uses a PixArt PAW3805 sensor that offers precision and tracks flawlessly on any surface including glass and high-gloss surfaces. The Retro Classic Mouse connects via Bluetooth or RF using the included USB receiver. The dual wireless option makes it compatible with a wider selection of computers including notebooks and ultrabooks with limited USB ports. The Retro Classic Mouse packs a 1000mAh Lithium Ion battery offering up to 4 months of battery life. It uses a USB-C charging port for convenient charging. The Azio Retro Classic Mouse is now available at Azio.com with an MSRP of $99.99. Learn more about the Retro Classic Mouse here.